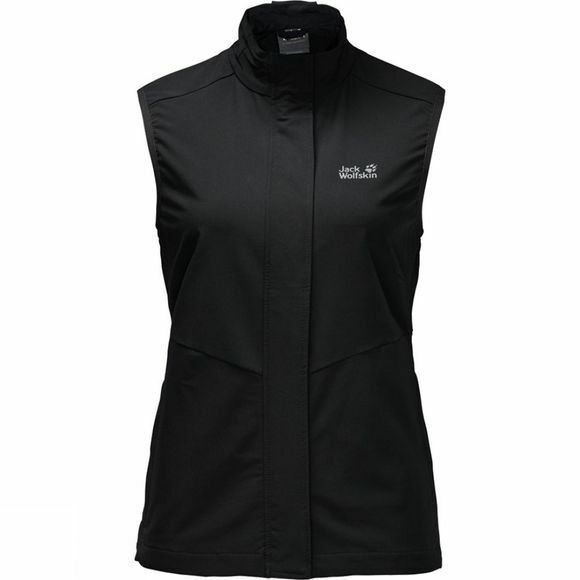 When running, hiking or mountain biking, the Womens Activate Vest from Jack Wolfskin offers good core protection and flexibility. Wear it on top or underneath, depending on how warm you want to be. It is super breathable, wind–resistant and light rain simply beads up and runs off the surface of the fabric. It packs down small so you can stash it in your backpack or waist pack, ready for action when you need it on trail.